DP 160 TSA & DP 250 TSA: pure technology. Paoli is pleased to present two new, top products: we are talking about the DP 160 TSA and DP 250 TSA. Two impact wrenches that mark the arrival of a new era based on “Torque and Angle Sensor System” technology. Based on Paoli’s experience in Formula 1 and the best pit-stops in the world, the TSA system uses Paoli’s Data Center hardware and software to provide real time measurements of data relating to the torque energy, the semi absolute measurement of the driveshaft angle, with the possibility to monitor and manage the data sent to the computer by the impact wrench. 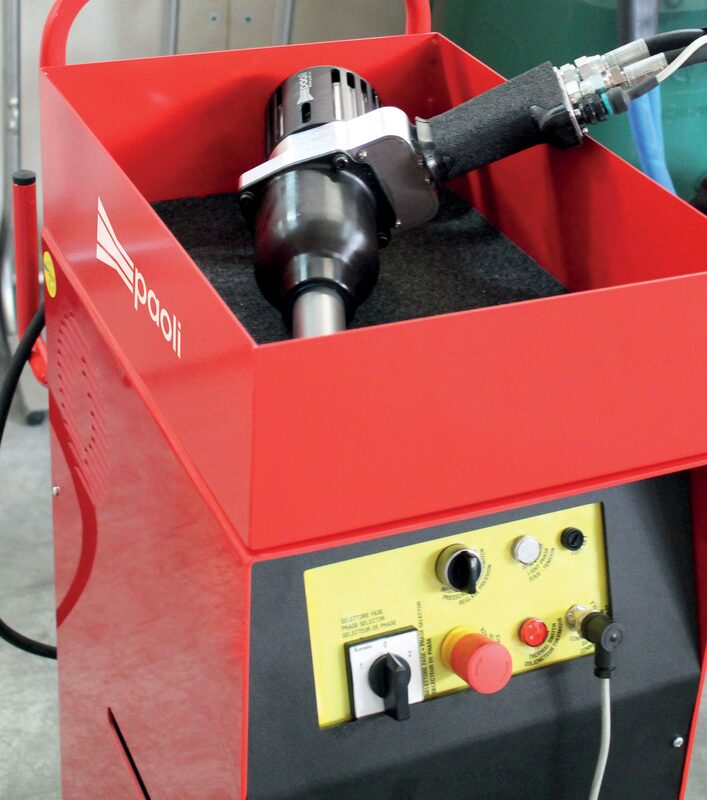 By entering the desired values via the software, Paoli’s Data Center sends the information to the impact wrench, which will then inform the user when the desired nut tightening has been completed, via a series of LEDs. The torque and angle sensors are fully integrated into the impact wrench. A summary of the specifications for these two powerful, long-lasting and cutting edge impact wrenches is provided below. The world’s biggest event for the mining industry is ready to throw open its doors. Expomin 2014 will be held from April 21st to the 25th at Santiago de Chile with over 1600 exhibitors coming from all over the world. Dino Paoli SRL will be there with a selection of its cutting edge, industrial impact wrenches that we can surely say are the safest in the world today. Paoli will be presenting its latest Atex series of impact wrenches, where total safety is the watchword as they are ATEX certified. A totally new concept in tightening will also go on show: the DP 160 TSA and DP 250 TSA impact wrenches controlled by Paoli’s Data Center system. The TSA system lets impact wrenches communicate with any computer, so you are always up to date with regard to tightening and torque data, etc. Technology made in Italy for a market where Dino Paoli SRL has invested heavily in terms of research, development and technology. Dino Paoli presents its new line of impact wrenches compliant with the 94/9/CE – ATEX directive and the harmonised standards UNI EN 1127-1, UNI EN 13463-1, UNI EN 13463-5, concerning instruments intended for use in areas with a risk of explosion. In order to improve safety in the workplace, the materials selected to make these innovative products were chosen with the utmost care in order to prevent potential sparks, making them ideal for use in mining environments and on oil platforms. The specific field of use of each impact wrench is defined as: in mines (I M2 c IIB 95° C X) or for surface sites with explosion risk (II 2 GD c IIB 95° C X). The Atex range includes the following product versions: The DP217 ATEX, DP251 ATEX, DP256BG ATEX, DP362BG ATEX whose endorsement will be handled by TÜV SÜD, which will certify their quality and reliability.